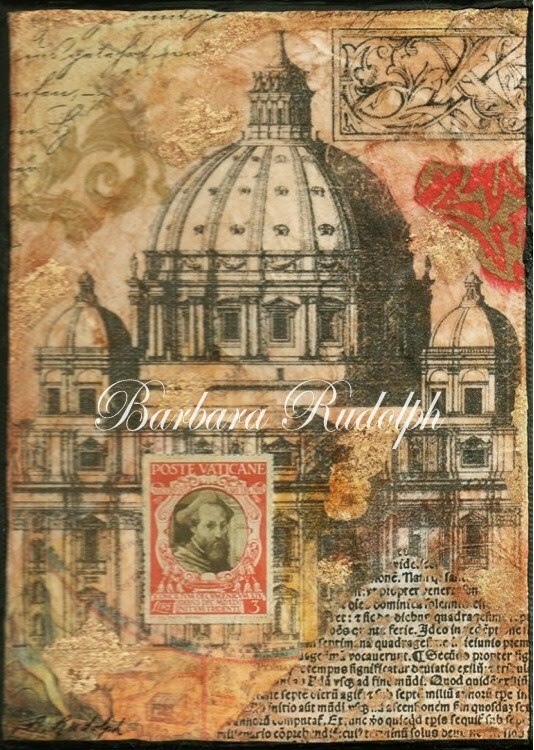 Barbara Rudolph Fine Art: Travel Journal Series - "Poste Vaticane"
Travel Journal - "Poste Vaticane"
This is one of my new Travel Journals on canvas. The size is 7"x5". 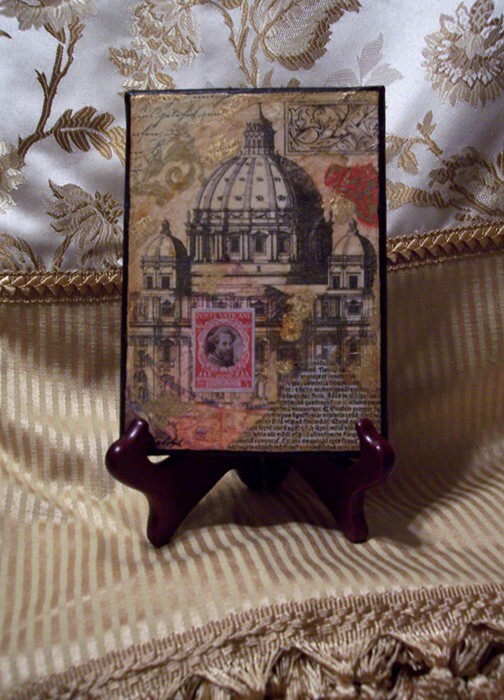 I have a beautiful collection of stamps and some are very interesting and are from the Vatican. I incorporated this one with St. Peter's Dome to go with the "Poste Vaticane" stamp. This mixed media collage painting has lots of interesting elements and is embellished with gold leaf and the beautiful stamp. They make great gifts and are nice to display on an easel.